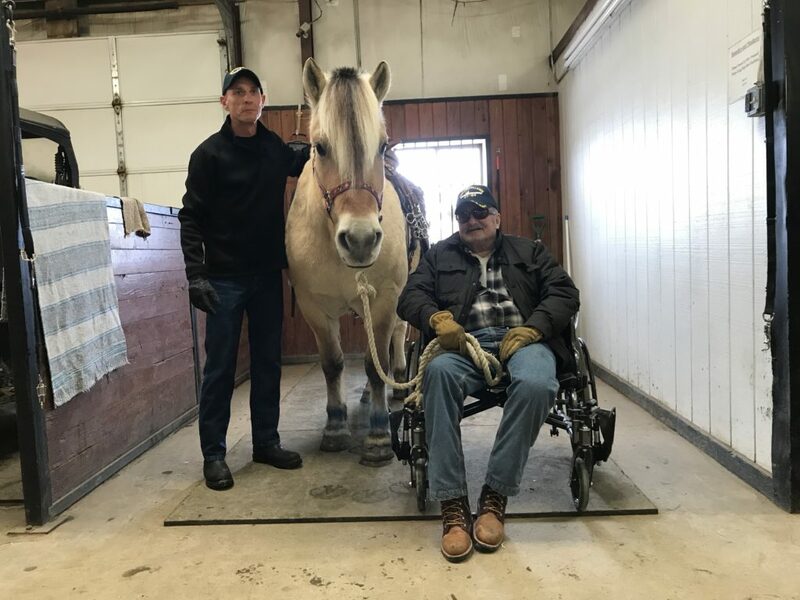 When Bill Winchell’s left leg was amputated above the knee due to complications from type 2 diabetes four years ago, he was sure he’d never be able to ride a horse again. Horses Spirits Healing, Inc. (HSHI) proved him wrong last May, shortly after his first visit to the non-profit riding school. 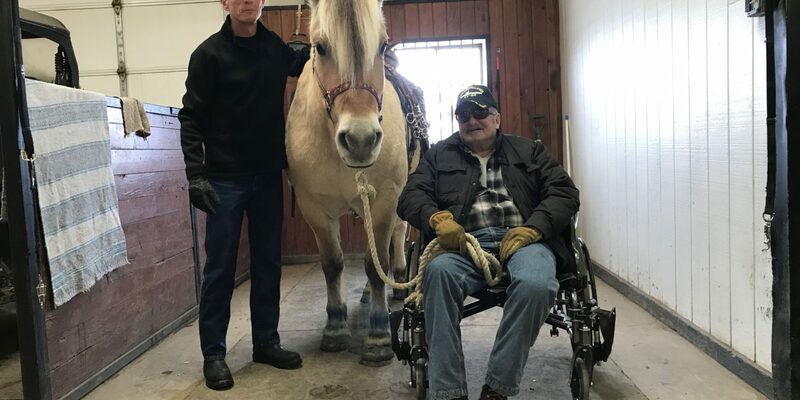 Since then, the staff and volunteers there have devised a training program that allows the 72-year-old Navy veteran to safely enjoy an hour on horseback every week. Winchell grew up with horses, rode them in cattle drives as a young man, and owned as many as seven at one time. He had to sell his last horse a couple of weeks before his surgery, and life was never quite the same. 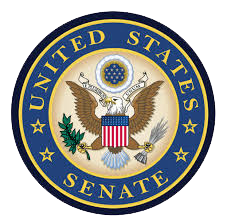 But that changed when his dentist at the Billings VA Community Based Outpatient Clinic told him about HSHI, and all they had to offer to disabled veterans. Located a few miles west of Billings at the Intermountain Equestrian Center, HSHI’s three Professional Association of Therapeutic Horsemanship International (PATH)-certified trainers provide horse therapy for a range of people with medical conditions, including quadriplegia, amputations, spina bifida, ADHD, autism, Down syndrome and PTSD. 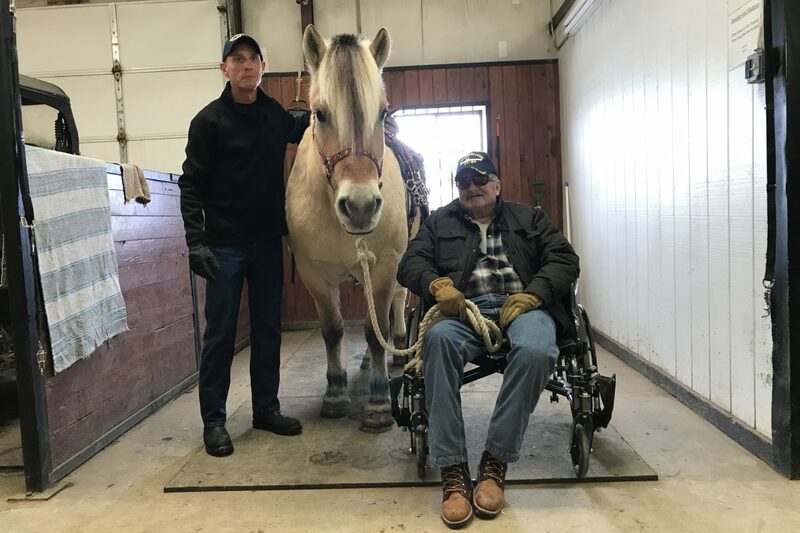 Winchell is among about 20 veterans to ride horses at HSHI regularly, and his favorite four-legged friends there are Dot (a Norwegian fjord), and Captain and Bob (both quarter horses). Once groomed and saddled, it’s time to ride. Bill puts on a helmet as they head to a ramp that is specially designed so people with mobility problems can safely mount horses. 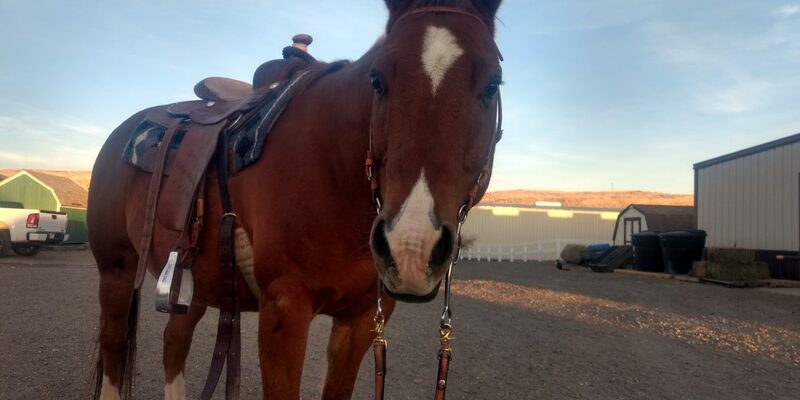 Four people are needed to make each of Winchell’s riding lessons successful and productive – the instructor, the horse leader, and two side-walkers (who hold his boots in the stirrups). “Being here, spending time with the horses – it really makes my day,” Winchell said with a smile. When he was 19, the Glendive native volunteered to enlist in the U.S. Navy. It was early 1966, and the Vietnam War was heating up rapidly. By the time he was honorably discharged in the fall of 1969, he was a petty officer 3rd class who had deployed aboard the aircraft carrier USS Constellation (CVA 64) twice. He was aboard the aircraft carrier USS Hornet (CV 12) for the recovery portion of Apollo 11, NASA’s first manned expedition to the moon in 1969. The young gunner’s mate also performed more than 200 river boat patrols, firing at North Vietnamese enemy forces until he melted machine gun barrels. He was exposed to the carcinogen Agent Orange, and returned home with PTSD, “from seeing so much death,” Winchell recalled. 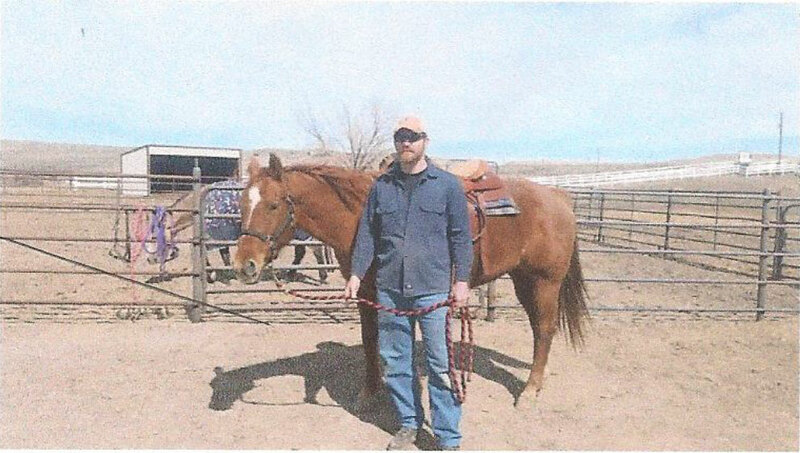 He doesn’t receive counseling or physical therapy from the VA anymore, but he says he gets both from his time with horses, and the staff and volunteers at HSHI. Last fall, Winchell was introduced to volunteer Eric Brown, who retired from the Navy in 2015. During their first conversation, the two vets discovered they had both served aboard USS Constellation – 31 years apart. About 10 volunteers visit HSHI to assist veterans with their lessons each week. The organization also boasts about 10 horses, including a miniature horse (Lulu) and a pony (Mastercard).